Here you will find a small part of the publications that Ype Wijnia and John de Croon have been published on asset management. The publications Ype has prepared for his PhD at the Delft University of Technology can be found on the website of Next Generation Infrastructures and can be downloaded from that location. For an overview of all articles, see Ype and John's resumes. Would you like to receive one of these articles, please contact us. Ype and John also briefly discuss an actual assset management theme. Periodically these are translated and these can be read and downloaded here. Almost weekly new columns are published in the column section on the Dutch page. The human factor in asset management process development. Proceedings of the 2nd World Conference on Engineering Asset Management (WCEAM 2007). Presented on WCEAM (World Congress on Engineering Asset Management), Cincinatti, October 2011. Belongs to part 2 'AsM reference Model part 2 Comparative cases'. Presented on WCEAM (World Congress on Engineering Asset Management), Cincinatti, October 2011. Belongs to 'Towards an Asset Management reference model part 1: basis for a unified approach'. Article on the process followed to create an asset management guideline for the Dutch wastewater industry. WCEAM, October 2012. ISO55001 based reference model for infastructures. 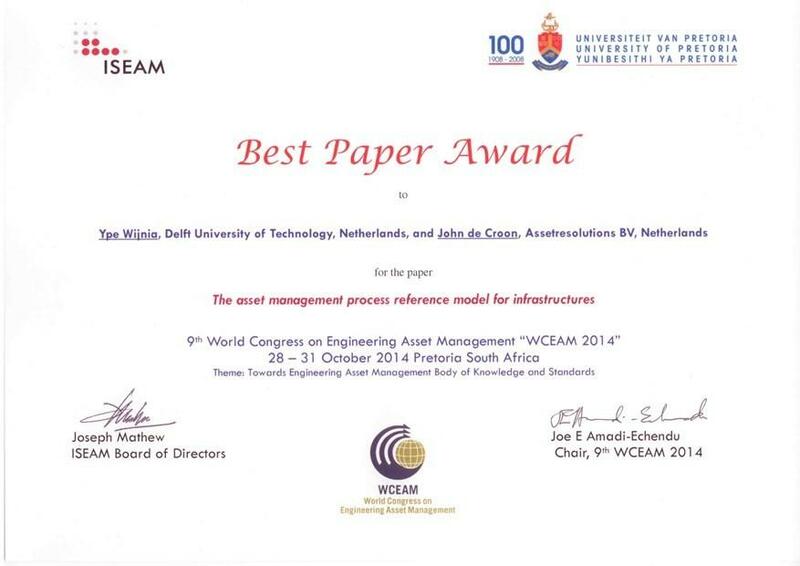 9th World Congress on Engineering Asset Management – WCEAM 2014, Pretoria, South Africa. Chosen as best paper for this conference. Key note presentation held on the World Congress on Engineering Asset Management (WCEAM) in October 2015, Tampere, Finland. With for example relation to coverage according to ISO55001 per paragraph. See also our "award winning" publication on the WCEAM 2014 on this subject on our page. The strategic importance risk thinking (in Dutch). Presented at the IIR asset management seminar in June 2011 in Rotterdam. By Ype Wijnia and John de Croon. Article on the approach for the long term asset planning: (LTAP): number of asset types, risk and age profile, optimization of replacement ages. This provides insight in the long term system performance, as well as the impact of budget restrictions on risk and performance. The simplified approach provides adequate results with a limited effort. 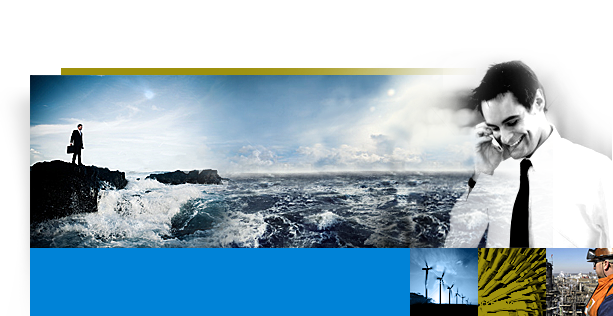 Case study on the integration of windmills in the province of Flevoland. By taking an incremental decision each time, a network has been created that is considerably more expensive than if it were designed as a whole.